Conducts regarding this issue are very similar to the US but we will add some extra cautions! Driving in Mexico? Transit police interests and obligations are to protect and take care of your safety. But like in any scenario, there’s always the chance of an encounter with a bad apple. The reason for our article is to get you properly informed and behavioral customs when in this scenario. A higher chance exists of being pulled over if driving a car or motorcycle; thus canceling your right to free transit to which we are all entitled. 1) What you should first do. You are driving down the street and notice in the rear mirror that a police car has turned on the lights. What should you do? Use your turn lights to alert the officer that you will stop at the next opportunity. Look for a safe area to stop completely. Turn off the car. Keep hands visible at all times and don’t make sudden movements that could confuse the officer. You must remain in your car and wait for the officer to approach you and ask for your licence and registration. Keep in mind that if the officer asks you to pull over, by law you must comply, even if you think that you haven’t done anything wrongfully. 2) Ask the reason why you’re getting pulled over. If you are oblivious as to why you are getting stopped, you have the right to know why your freedom or right to free movement was curtailed. Also, if you are getting arrested or detained for any reason, you have the right to ask why. It is a constitutional right for citizens and foreigners to ask the motive for being formally detained. 3) Do you need to answer all questions asked by the police officer? You have the right to remain silent. Even if arrested or detained. If you want to enforce this right, tell the officer with a firm voice and remain silent from here on. During this situation, you can just say “I choose not to answer that question”. But keep in mind that you must show proof of your documents if the officer asks for them: licence, registration, and Mexican auto insurance policy. 4) Do you have to get out of your vehicle? Until the officer asks you to, otherwise stay inside your vehicle. In some cases, it’s not necessary but they can ask you to. In this case, you must comply. 5) But, can I record any suspicious behavior? Depends on the type of encounter with police. If you were stopped just for a traffic violation, everything will end up just with a fine. Recording will not be necesary, keep in mind that the purpose of this is to defend you from any misunderstanding and authority abuse. Only in this situation is suggested; ie in cases where you perceive unprofessional behavior or when they demand you to pay the fine right there. Recording police during working hours is legal in Mexico. 6) Can I ask a police officer for information on how to file a complaint? If your purpose is to file a complaint you have all the right to demand the officer’s name and badge number. 7) Can you or your car be subject to checks or inspection? If the officer asks you to exit the vehicle in order for him to register it, you have the right to deny this request. The car can be searched only if the officer has a justified reason. Reasonable suspicion; If the officer believes you are involved in illicit behavior. In Mexico, transit officers do not have jurisdiction to search private property without a justified cause. If fined by the traffic police, don’t worry, just be polite and ask the officer for a written fine and amount to be paid to be specified. You can pay by mail from the US when you come back! If fined in Tijuana, you can pay by sending a check or money order to: H. Ayuntamiento de Tijuana, 416 West San Ysidro Blvd. Suite “L”, No.725, San Ysidro, CA 92143. For fines in San Felipe or Tecate you can pay directly in the police station. Remember to always ask for your receipt! For more driving in Mexico info please visit our travel info site; Here you’ll find maps, roads, distances and border crossing related information plus much more! Furthermore, it is highly advised to go directly to the judge and reason with him about your fine. Most of the times judges cancel or reduce the cost of fines. Judges are located inside the centros de gobierno (cityhalls) . 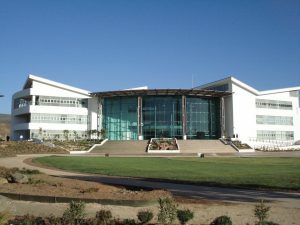 This is Ensenada City hall, judges are found here. Remember that US insurance doesn’t cover beyond the border anymore. Our adjusters are trained to give and offer legal assistance if needed. 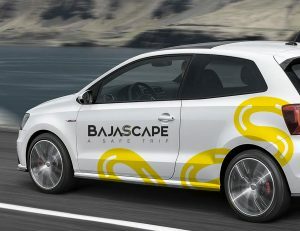 Bajascape works with the top 2 underwriters in Mexico for Mexican Auto Insurance HDI and Qualitas. Below are estimated costs of fines for the most common traffic violations. The city of tecate has become a police mafia extorting American citizens for outrageous fines wether guilty or not with threats of arrest and jail over things as simple as supposedly running a stop light. I am a former Marine who brings veterans to Baja for intense PTSD therapy and have lived I. Baja in excess of 26 years. Even for Mexico’s normal corruption standards tecate is a failed system where the citizens and visitors are stalked by police . So sorry to hear that Jeromy, although authorities are taking actions in these issues, let’s hope we can eradicate this unlawful behavior from our streets!